It’s really really fall now, and that means more indoor adventures. 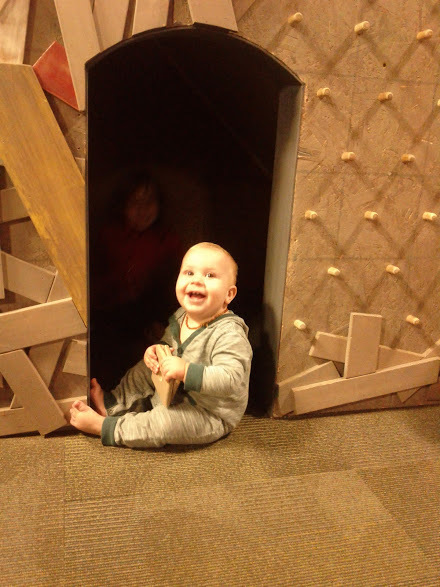 We have a great collection of favorite places now that we have lived in Tacoma for a few years, and the top favorite remains the Children’s Museum of Tacoma. These days, there aren’t very many places where kids can practice making their own choices and controlling themselves without worrying too much about mistakes. 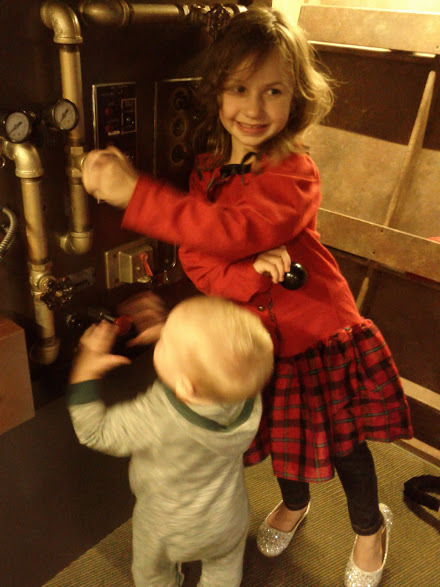 We love the Museum because it’s a safe place to take some risks and jump into exploring. It’s full of things to touch, press, spill, climb, splash, pour, drop, paint, squish, and pile up. Our recent visits included some great interactive community sculpture. 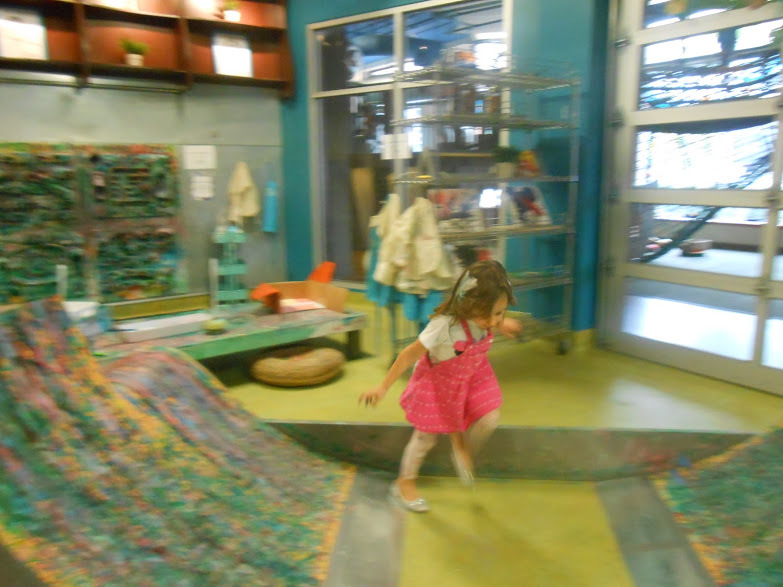 Above, Edie investigates a jump set where kids have been rolling wheels through paint and down the slopes. We check out the tracks left behind by everyone’s wheels. In another room, a potter’s wheel provides a spinning surface for bull’s eye drawings. 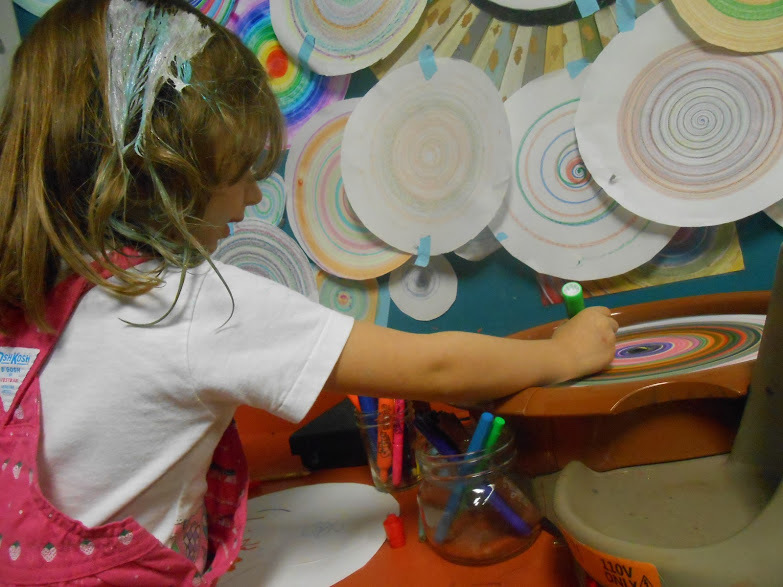 Edie admires rainbow collection and adds one of her own, while Rory manipulates the mirrors and light tables nearby. Both kids work together on the dials and toggles in the cockpit. Rory throws a switch back and forth intently. Edie zooms in to count the numbers on a pressure valve. Rory discovered a new friend inside this under-stairs cave. He pops back out to introduce me and add his board to the peg panel just outside. Each of our favorite places around town invite us to engage and participate in a different way. The Museum always provokes us to see the world in a new way. It’s so hard to leave, and we can never wait to go back!